Congratulations to Arpit Gupta and Xinyu Xing, who recently had papers accepted at the 2014 Passive and Active Measurements Conference! Arpit’s paper studies connectivity and peering and what ISOC has been calling “tromboning” (paths on the continent that detour through LINX in London or AMS-IX in Amsterdam). Xinyu’s paper studies inconsistent Web search results using a tool we built called Bobble. The abstracts of the accepted papers are below. The final versions of the papers will be posted here shortly, and the papers will be presented in March 2014 in Los Angeles. Abstract. In developing regions, the performance to commonly visited destinations is dominated by the network latency to these destinations, which is in turn affected by the connectivity from ISPs in these regions to the locations that host popular sites and content. We take a first look at ISP interconnectivity between various regions in Africa and discover many circuitous Internet paths that should remain local often detour through Europe. We investigate the causes of circuitous Internet paths and evaluate the benefits of increased peering and better cache proxy placement for reducing latency to popular Internet sites. Abstract. Personalized Web search can potentially provide users with search results that are tailored to their geography, the device from which they are searching, and a variety of other preferences and predispositions. Although most major search engines employ some type of personalization, the algorithms used to implement this personalization remain a “black box” to users, who are not aware of the effects of these personalization algorithms on the results that they ultimately see. Indeed, many users may be unaware that such personalization is taking place at all. This papers take a first look at the nature of inconsistent search results that result from location-based personalization and search history. We present the design and implementation of Bobble, a tool that executes a single user query from a variety of different vantage points and under a range of different conditions and compared the consistency of the results that are returned from each query. Using more than 75,000 search queries from about 175 users over a nine-month period, we explore the nature of inconsistencies that arise in different search terms and regions and find that 98\% of all Google search queries from Bobble users resulted in some inconsistency, and that geography is more important than search history in influencing the nature of the inconsistency. Different from a recent study, our measurement also indicates that the influence of search history on search inconsistency is medium but not moderate. To demostrate the potential negative impact of search personalization, we also use Bobble to investigate more than 4,000 locally disreputable businesses. We find that more than 40 of these businesses for whom the negative search results are hidden from the local Google search result set but not in other Google search result sets obtained from other regions. 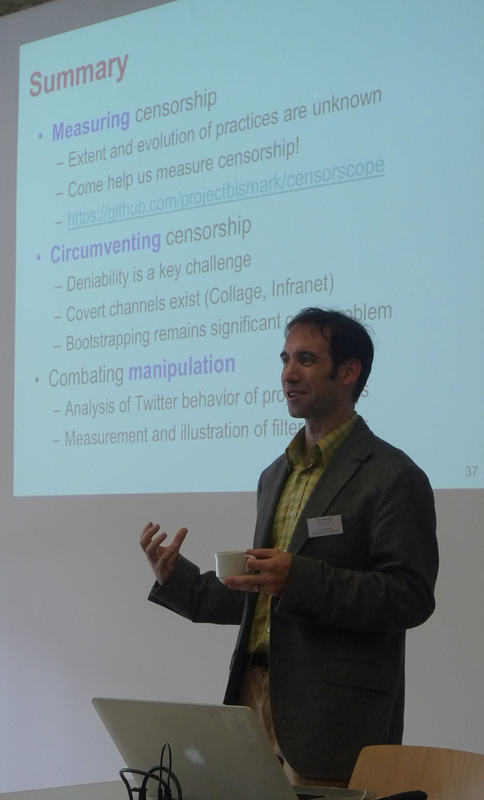 Challenges in measuring Internet censorship, including ongoing efforts to develop a comprehensive tool for measuring the extent and evolution of Internet censorship. Systems that perform deniable circumvention of censorship, including Collage and Infranet, and how they (and other systems) can be used to implement channels such as Tor pluggable transports. The emergence of “soft censorship” and overt information control as an alternative to outright censorship, including the use of personalization and social media as vectors for information manipulation. Arpit Gupta spoke about a Software-Defined Internet Exchange at NANOG 59 in Phoenix, Arizona. An abstract for the talk is below. See Arpit’s talk slides here. Abstract: Deploying software-defined networking (SDN) at Internet Exchange Points (IXPs) offers new hope for solving longstanding problems in interdomain routing. SDN allows direct expression of more flexible policies, and IXPs are central rendezvous points that are in the midst of a rebirth, making them a natural place to start. We present the design of an SDN exchange point (SDX) that enables much more expressive policies than conventional hop-by-hop, destination-based forwarding. ISPs can apply many diverse actions on packets based on multiple header fields, and distant networks can exercise “remote control” over packet handling. This flexibility enables applications such as inbound traffic engineering, redirection of traffic to middleboxes, wide-area server load balancing, and blocking of unwanted traffic. Supporting these applications requires effective ways to combine the policies of multiple ISPs. Our SDX controller provides each ISP the abstraction of its own virtual switch and sequentially composes the policies of different ISPs into a single set of rules in the physical switches. Preliminary experiments on our operational SDX demonstrate the potential for changing interdomain routing from the inside out. 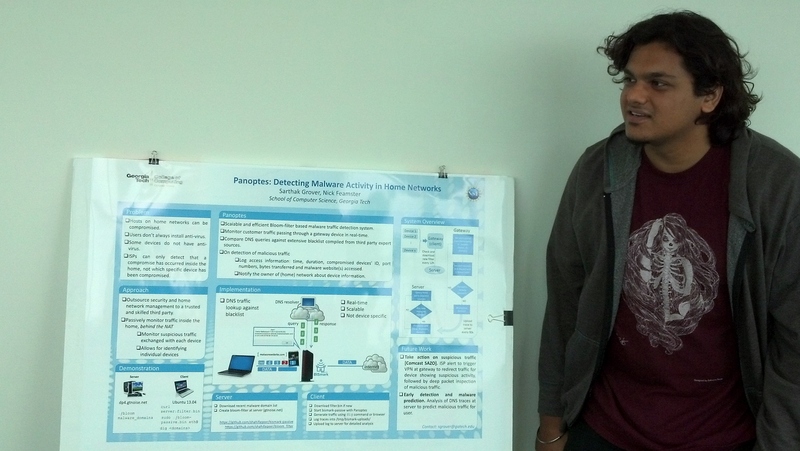 A study led by Marshini Chetty and Srikanth Sundaresan will appear at the Fourth Annual Symposium on Computing for Development (ACM DEV) this coming December. The study presents the results of a performance study of fixed and mobile broadband performance from five mobile providers and nine fixed-line providers across all nine provinces in South Africa in 2013. We are continuing to collect performance data in South Africa and are in the process of replicating and expanding this study in other countries in Africa. The plot below shows some summary data of download throughput from ISPs across Africa from May 1 through today (September 18, 2013). You can explore the data for the fixed-line South African deployment more at BISmark’s Network Dashboard (developed by Alfred Roberts). 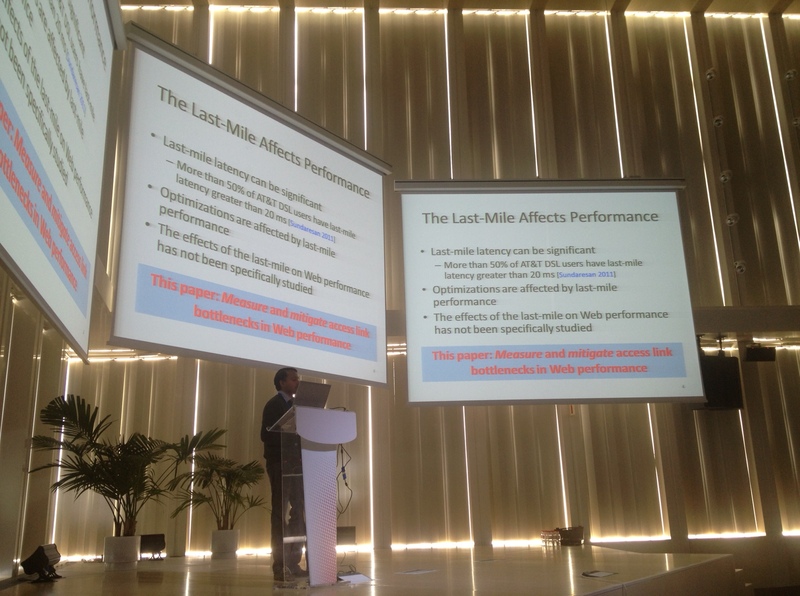 Sarthak Grover presented a new system built on BISmark for detecting malware in home networks at Ubicomp. The current system, called Panoptes, tracks DNS lookups from hosts inside a home and compares the DNS lookups against a blacklist on the router. The system then notifies the user if the DNS lookups suggest the presence of malware on a device in the home. The system significantly enhances the capabilities of existing systems for providing security in home networks, building on deployed products such as Comcast’s Constant Guard service. He and Yogesh Mundada are currently working with Comcast on designing an SDN-based system that builds on this design, called SAZO, as part of a larger field deployment. More to come on SAZO in the future! Yogesh Mundada and Anirudh Ramachandran‘s SilverLine system was accepted to the 2013 Annual Computer Security Applications Conference (ACSAC). SilverLine is an SDN-based system that protects against data leaks from multi-tier Web applications that access sensitive data but are nonetheless vulnerable to various attacks such as SQL injection and insecure direct object reference that might ultimately leak sensitive data. In SilverLine, an application developer who writes a Web application can apply security labels to data in a database. When a Web application issues a query against the database to retrieve data, the query is rewritten so that the records include security labels. All network connections associated with that result are also associated with both labels and the intended recipient of the data. A declassifier (a special SDN controller) inspects the security labels associated with each flow and determines whether to allow the flow based on the recipient of the data and the security labels associated with that flow. SilverLine is one of the first systems to step into the space of Software Defined Security. Congratulations to Yogesh and Anirudh on this pioneering effort! An abstract of the work is below. 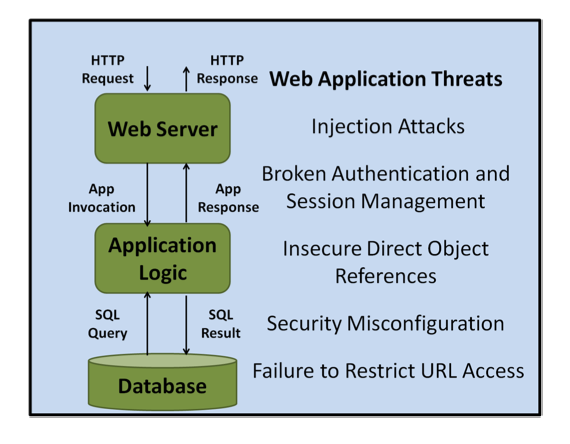 Web applications can have vulnerabilities that result in server- side data leaks. Securing sensitive data from Web applications while ensuring reasonable performance and without requiring developers to rewrite applications is challenging. We present SilverLine, which prevents data leaks from compromised Web applications. SilverLine uses login information to associate a user with each Web session; it then taints each file and database record applies information-flow tracking to the data associated with each session to ensure that application data is released only to sessions of authorized users. We have implemented SilverLine on Linux; our implementation demonstrates that SilverLine can protect a PHP-based Web application from many of the most common server-side Web application attacks, with only minor application modifications and reasonable performance overhead.